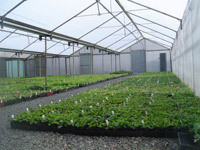 Briarwood Farms Nursery Pty Ltd is a family owned and operated plant propagation nursery established in 1990. 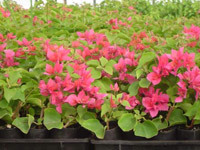 Producers of quality tubestock, Briarwood specialises in Hibiscus Rosa Sinensis and Bougainvillea, as well as a wide variety of popular and water-wise species. 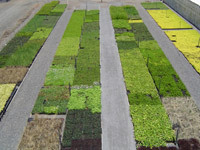 Because we grow most of our lines on ‘spec’ (in other words, we take a punt because we know the market) we have earned a solid reputation as a nursery where customers can ring and order stock as required for immediate shipment. We also contract grow and accept new plants on exclusive arrangement while catering to clients of all sizes and and shipping Australia-wide throughout the year. Located in Hillier, South Australia, approximately 35k north of Adelaide, this region’s harsh conditions is well-suited to growing strong, resilient plants. Onsite mother plants and stock beds ensure the quality of stock and allow monitoring of the growing habits of new varieties. Known for quality and service, wholesalers, retailers, landscape companies and production nurseries rely on our ability to provide the very best in product, customer service and follow-up.